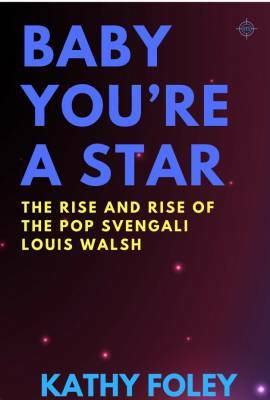 Baby You’re A Star investigates the secret of Walsh’s success and tells the inside story of his rise to the to the pinnacle of the pop world, from his first job as an office boy, through his years in the music industry Wilderness, to fame and wealth in the past decade. Since Louis Walsh formed Boyzone in late 1993, acts under his management have reached Number One in the UK singles charts twenty times, and have also topped the charts in Europe, Asia, and the US. Artists such as Ronan Keating, Westlife, and Samantha Mumba are reported on and profiled regularly in the international media, yet little is known publicly about the behind-the-scenes dealings by Walsh that have driven their success. Walsh also has a reputation, particularly in Ireland, as an outspoken and controversial figure. These factors should aid considerably in generating publicity for the book. The author also focuses on Walsh’s wealth and other business interests, and his involvement in a number of court cases, issues that are rarely covered in the media. Telling many stories that have not been previously published, readers can better understand a man who courts publicity so actively remains so intensely private in his personal life.